BlueCove, a London-based fixed income asset management firm, has signed an agreement for a fully managed installation of Patronas Financial Systems’ portfolio and compliance management solution OPUS. BlueCove is installing OPUS Portfolio and Order Management, Compliance Management and Order Routing solutions. OPUS aims to provide BlueCove with portfolio modelling, simulation and compliance processes and route orders electronically to any execution venue required. “Industry leading, pre and post, compliance in a regulated environment, such as UCITS and AIF, and FIX connectivity to multiple trading venues are essential components of any modern investment management firm,” says Nick Pierce, head of investment process, BlueCove. “Being free from the constraints of legacy architecture, we are creating strategically modern solutions for clients rather than focusing on tactical improvements to legacy operations,” says Ian Howard, head of engineering, BlueCove. “The OPUS open architecture and rich API allows easy integration with solutions we are building in-house, and with external counterparties and other third parties”. 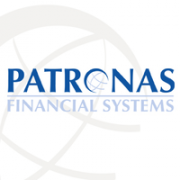 Patronas provides multi asset portfolio and order management solutions and is based in Freiburg, Germany. BlueCove was founded in 2018 by Hugh Willis, executive chairman, and Alex Khein, CEO.